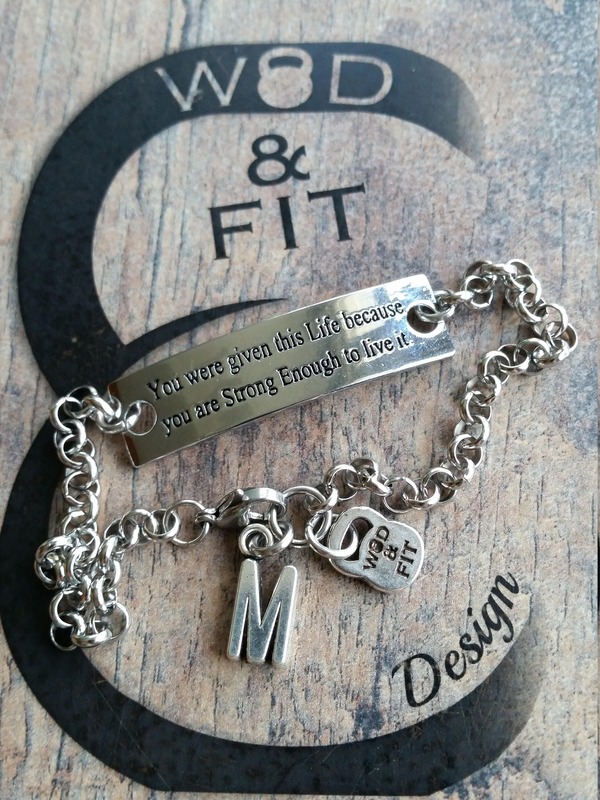 Bracelet "You were given this Life because you are Strong Enough to live it." 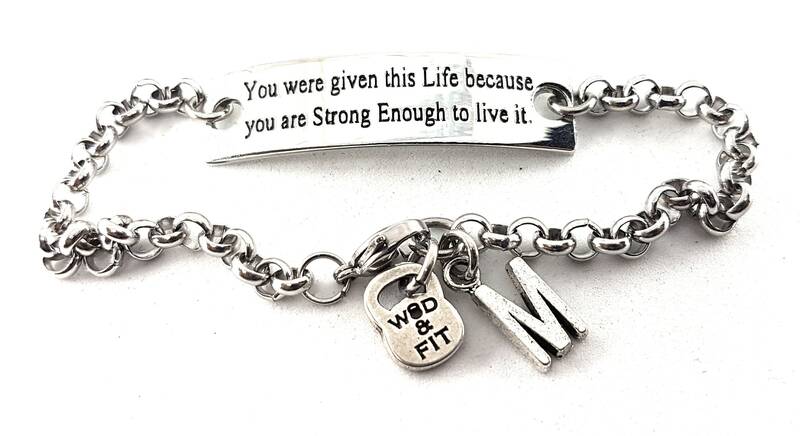 with your Initial Leter. 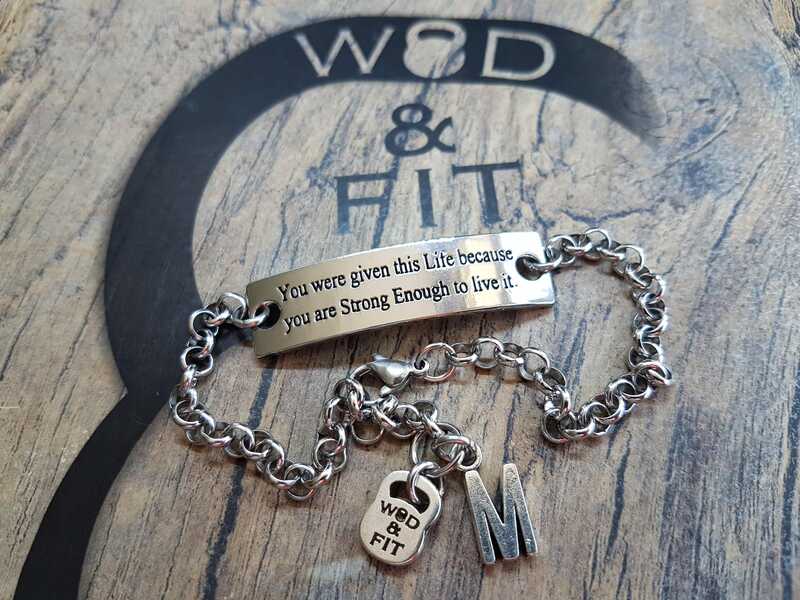 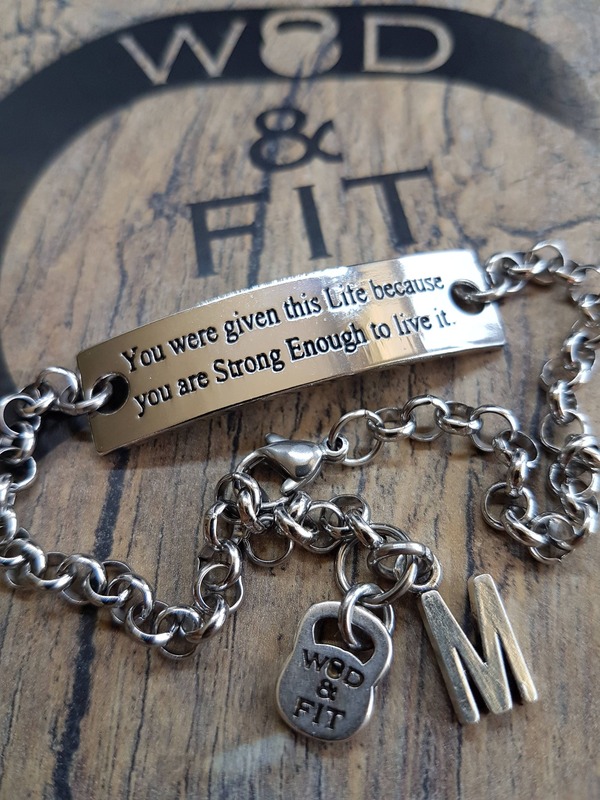 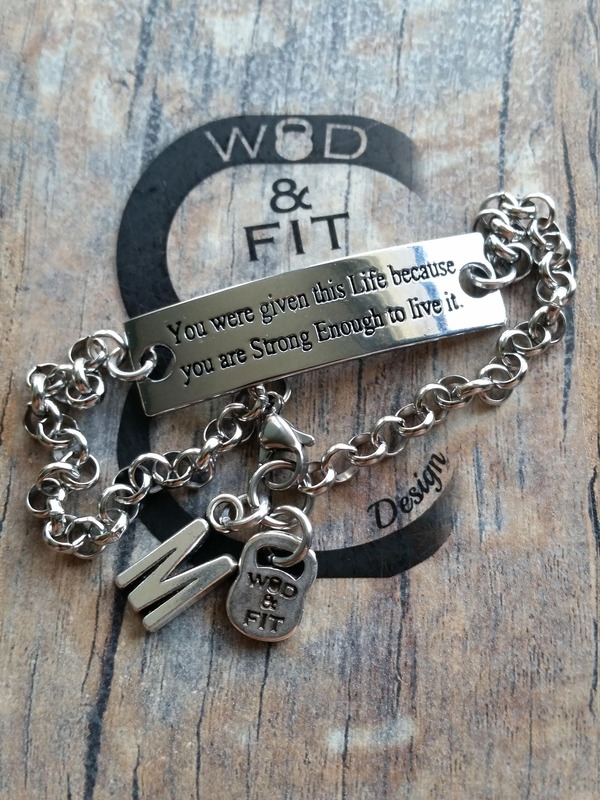 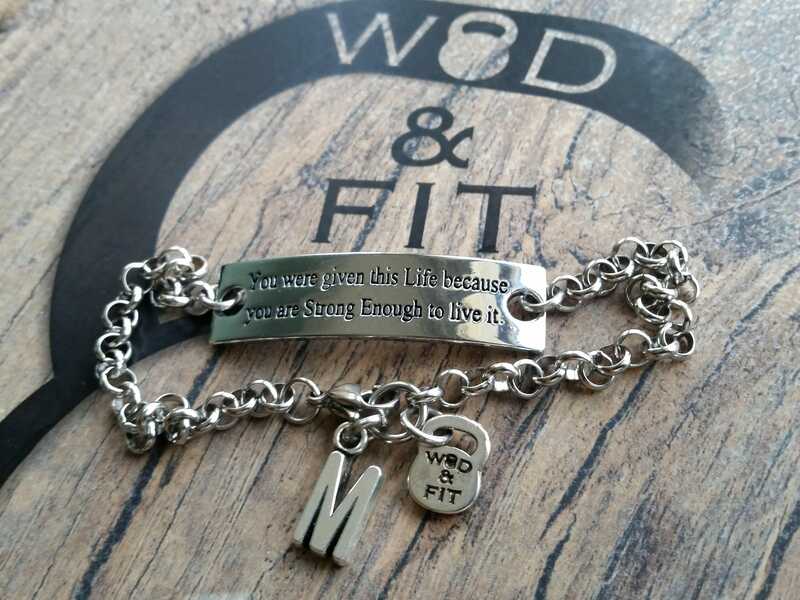 Bracelt stainless steel Adjustable (220mm) with the quote "You were given this Life because you are Strong Enough to live it." 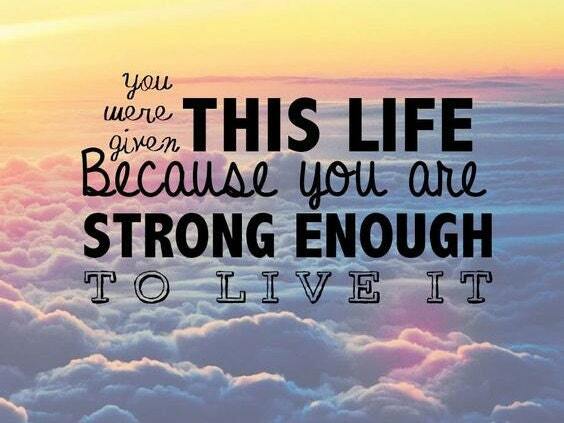 and your first letter.